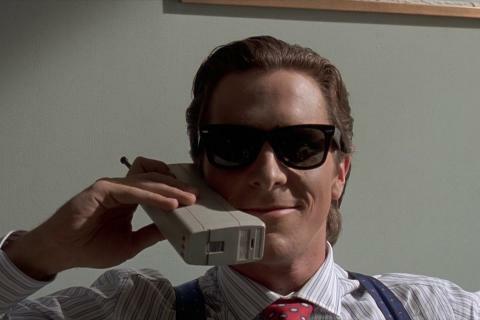 One of the best fiction (not really my cup of tea as I prefer non-fiction generally) books I ever read, was American Psycho by Brett Easton Ellis. I read it when I was 27, and getting my MBA. The protagonist (Patrick Bateman) is a 27 year old investment banker. If you’re not already aware, the plot is essentially that Patrick is obsessed with superficial things, loses touch with humanity, is prone to murderous drug-fueled rampages, and may or may not be real. Its quite complex, but I don’t want to give anything away or color your perceptions. The book is sick, sadistic, psychotic, and extremely interesting. The style in which the book is written really allows you to experience the obsessive and crazy life of the main character. The book makes one think about the state of Capitalism, conformity, the American dream, and US culture in the late 80s. What is also interesting, is that the real Wall Street guys this book was inspired by, grew up to cause the subprime mortgage crisis, bailouts, Madoff, Enron, etc. This book is definitely worth your time, even if you’ve already seen the movie. The movie only begins to hit on the best parts of the book. If you haven’t seen the movie, its on Netflix and Amazon instant video. An interesting parallel between American Psycho and the book I’m currently reading, A Man in Full, is the idea that the boardroom is a modern incarnation of the battlefield. 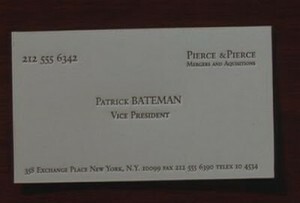 This sentiment is made explicitly in A Man in Full, but really only alluded to in American Psycho though competition (in reservations, business cards, suits, tans, really everything), and physical violence. I believe both books were published within a few years of each other.